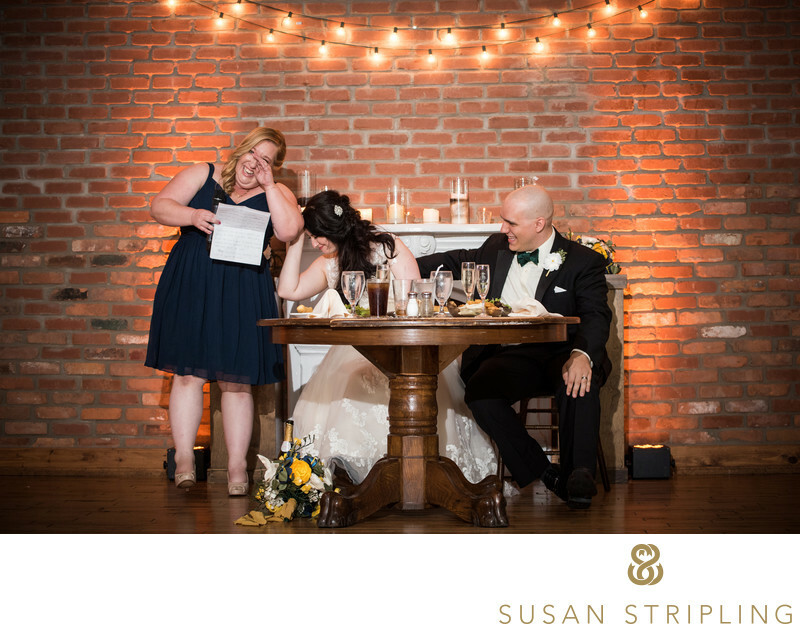 As a wedding photographer, one of the things that I must know is what happens at a standard New York wedding reception. What traditions usually take place? What things are super important to make sure that I have on a timeline for this part of the wedding day? The groom looks on during the bride's dance with her father. This "parent dance" is often found at most wedding receptions - though not all! Feel free to choose which traditions mean the most you and your family : this is your wedding! Toasts can be given by family members, wedding party members, other guests.....anyone! In the seventeen years that I have been shooting weddings, one thing that always makes me cry during these reception moments are when fathers of the bride or groom get emotional. At this New York wedding reception, the groom’s son had just finished giving a toast to his father and his new stepmother. 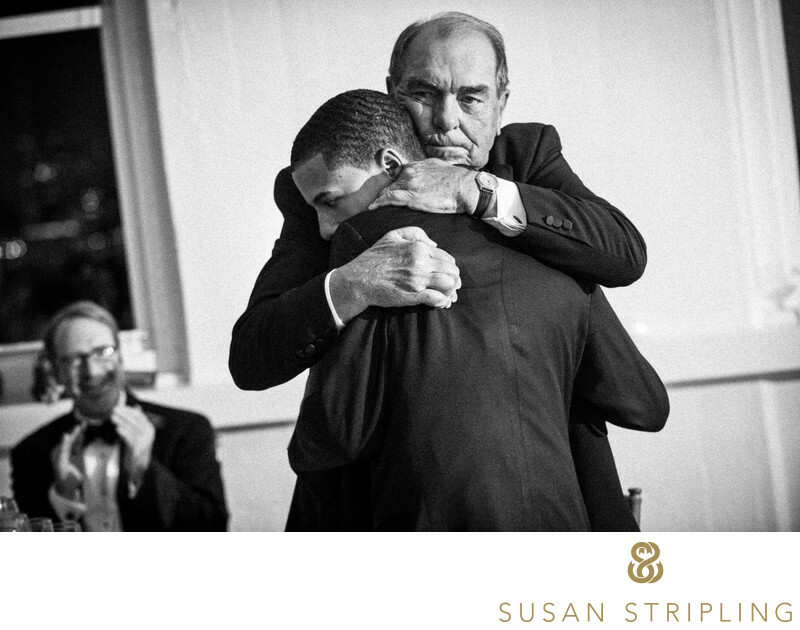 When the young man was finished speaking, the groom’s father stood up and wrapped his arms around his grandson. It was a purely unscripted moment, and the emotion took my breath away. Had I not been waiting and anticipating these unfolding moment I might have missed it. Luckily my assistant is perfectly in tune with what I am doing during a wedding reception, and she was able to quickly swing her off-camera flash around in my direction. 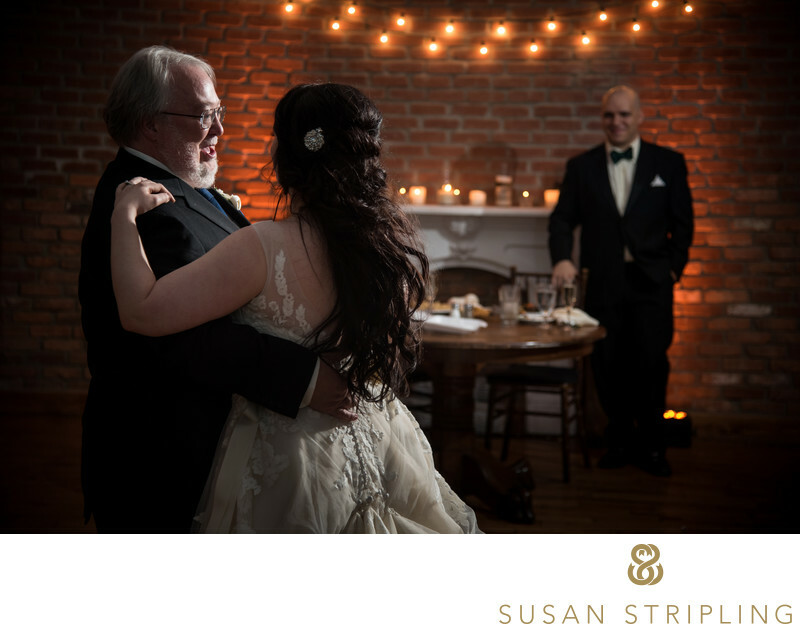 This light illuminated the face of the father of the groom and added a beautiful depth and direction to the photograph. 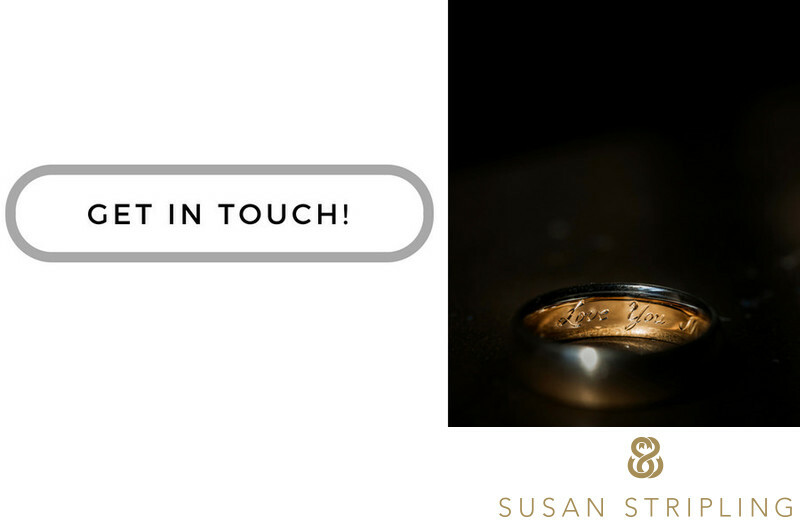 I promise that, if I am your wedding photographer, I will be prepared technically and emotionally to capture these fleeting moments as they occur! Location: 1200 Market St, Philadelphia, PA 19107. Keywords: New York City (207). 1/80; f/3.5; ISO 1000; 95.0 mm.